India is famous for its lush jungles, its Himalayan climes, its impressive coasts. But what about its lakes? For those after a relaxing retreat in the subcontinent – preferably alongside a scenic body of water – these six stunning lake resorts in India combine luxury hotel amenities with some truly impressive natural vistas. From Udaipur in Rajasthan – known as the City of Lakes – to the waterways of Kerala, these aquatic holiday destinations cater to travellers all year long. One of the most famous waterside hotels in all of India, the Taj Lake Palace in Udaipur isn’t just near to the impressive Lake Pichola – it’s in the middle of it. Poised on a small island and only accessible by boat, the luxury hotel was initially constructed as a winter palace by the local Maharana, and was built from a luminous white marble. 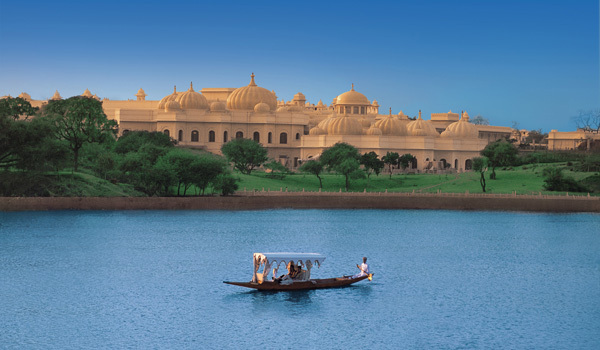 Today, it’s resplendent as ever, and guests who crave an even more marine experience can glide across the lake’s waters on the hotel’s Gangaur Cruise, cocktail in hand. 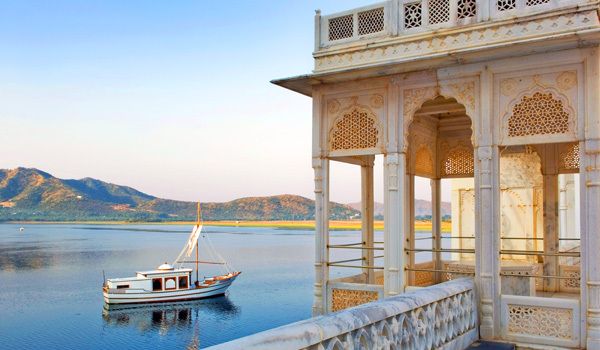 Also abutting the waters of Udaipur’s Lake Pichola, The Oberoi Udaivilas ranks among the most lavish lake resorts in India. Located on what were once waterside hunting grounds (and which today include a sizeable wildlife sanctuary), the hotel looks over the lake and is additionally ringed by a network of gardens and reflecting pools. A two-person ride on a shikara – a traditional local vessel – presents some of the finest city views (and is complemented by canapés). 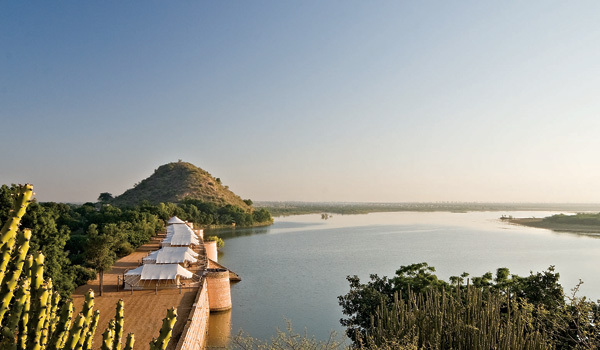 For those who’re seeking a Rajasthani lake retreat – but crave privacy and peace and quiet in particular – the remote Chhatra Sagar is like a desert oasis. Overlooking a manmade reservoir created by 19th-century noblemen, the resort accommodations consist of a handful of extremely luxurious private tents, which are hand-stitched, furnished with locally crafted pieces, and offer spectacular views of the dam. 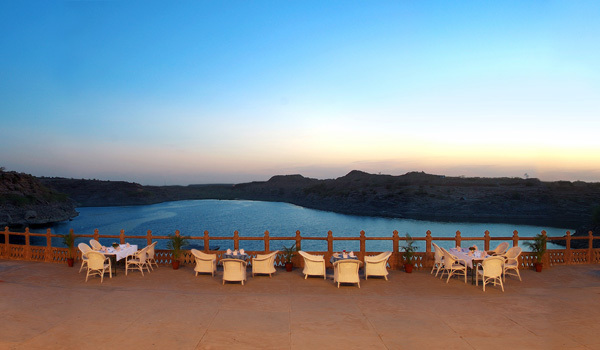 Though located just a few kilometres outside of Jodhpur, the historic Bal Samand Lake Palace feels a world apart, thanks to its tawny desert settings and, yes, placement overlooking a lush, 12th-century reservoir. Though the proportions of the red sandstone palace, which dates to the 17th century, are impressive, the fact that it’s home to just 10 high-end suites means each guest is promised privacy and comfort. Far away from the sandy deserts of Rajasthan, the tropical Coconut Lagoon, located near Kottayam in Kerala, is as aquatic as its name suggests. 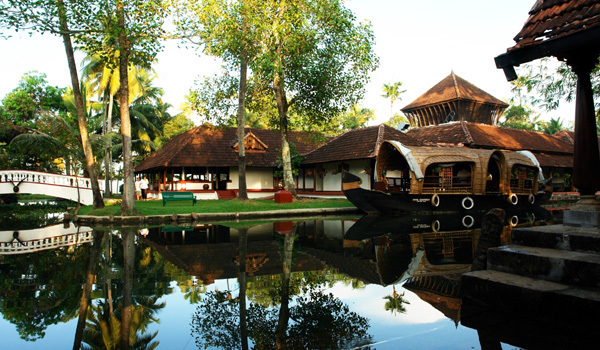 The only way to access the hotel, in fact, is by a boat across the Vembanad Lake; after disembarking, guests are greeted with a climate-friendly coconut cocktail. From there, visitors are invited to canoe in the canals (which bisect the hotel property), go on a romantic sunset cruise, or even punt out with a local fisherman. 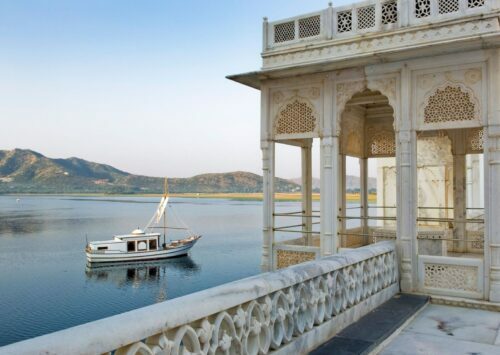 Given that Udaipur is considered a “Venice of the East,” it’s only fitting to include one more property here in our selection of lake resorts in India. 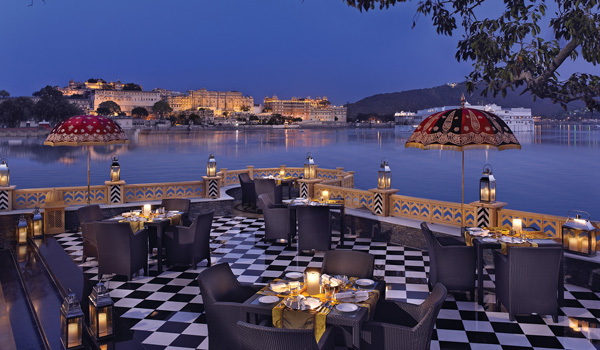 The Leela Palace Udaipur, which overlooks Lake Pichola and the Aravalli Mountains beyond, hosts luxurious lake view rooms that ensure impressive vistas are never far away. Note that some of the best nighttime sights can be had from the glowing terrace of Sheesh Mahal, the hotel’s wonderfully gourmet restaurant.